Richard P. Newman was born in Leesburg, Florida. He received his Bachelor of Sciences degree in Business Administration, with honors, from The Citadel in 1981. Foregoing a career in the military, Richard Newman attended Mercer University's Walter F. George School of Law and earned his Juris Doctor in 1985. Rick Newman is a member of the Florida Bar (Real Property, Probate and Trust Law Section), the American Bar Association and the Lake County Bar Association. Rick Newman joined the Firm in January, 1986 and was made a partner in November, 1991. 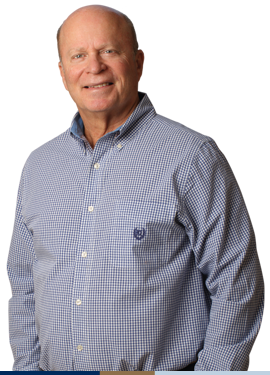 As a real estate practitioner Rick Newman represents institutional lenders, developers and real estate brokers in both residential and commercial transactions. Rick Newman gives back to his community by providing pro bono legal representation for the local chapters of Habitat for Humanity and Hospice of Lake & Sumter Counties. Sign up with your contact information to receive upcoming newsletters, e-news and updates.